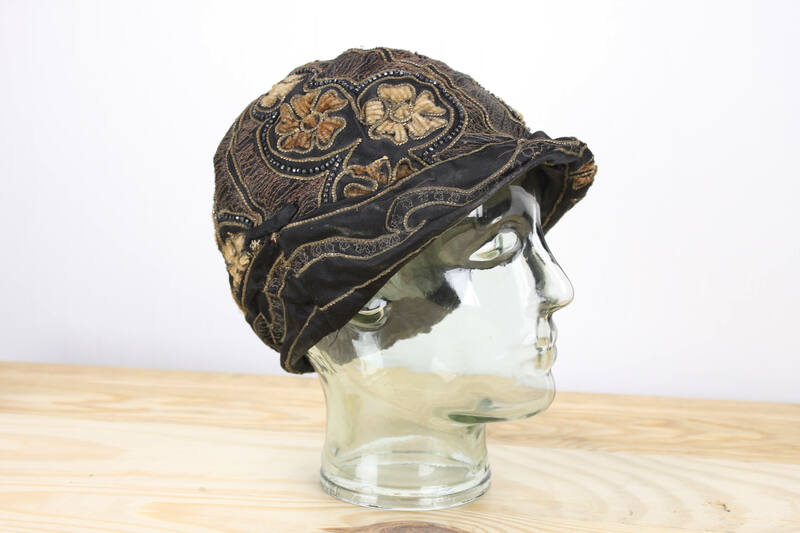 This hat is truly one for the books! 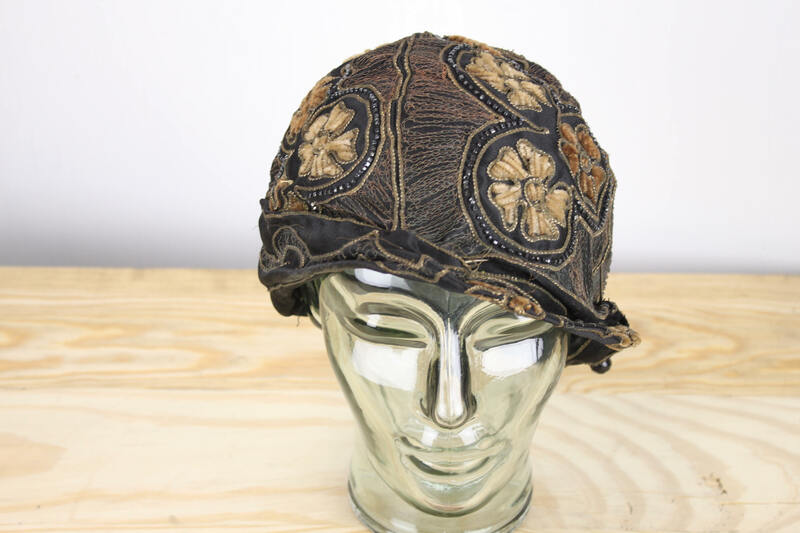 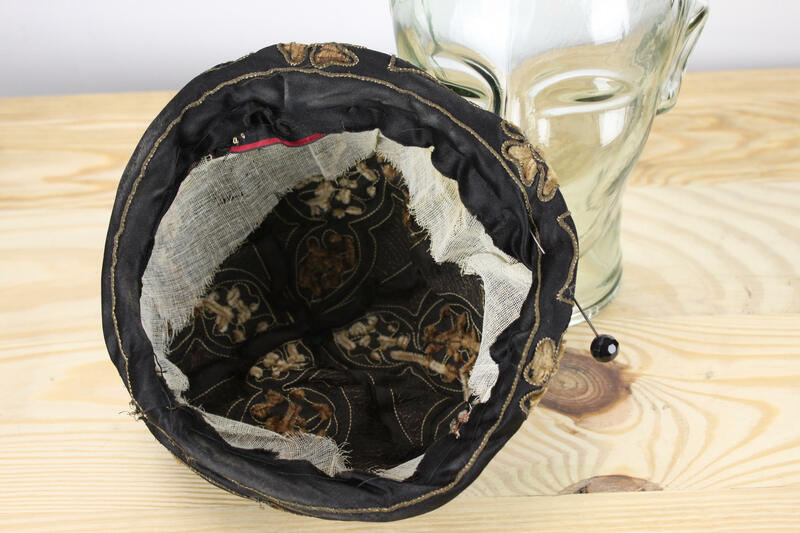 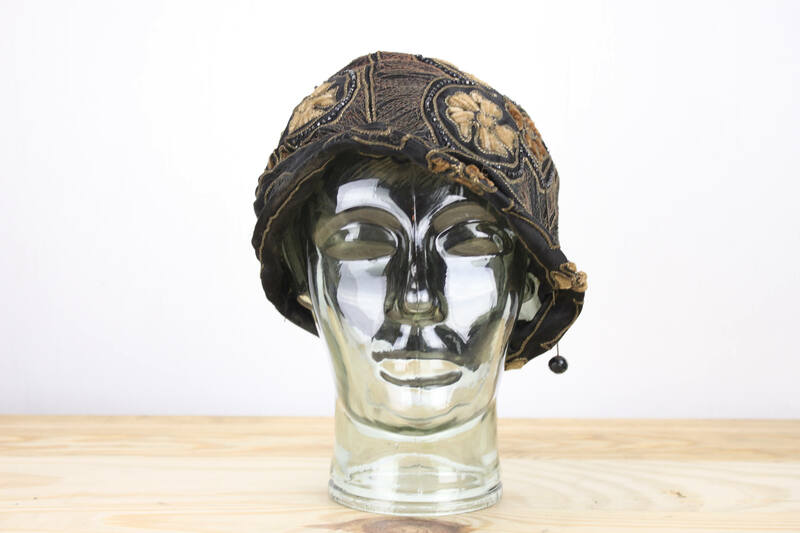 This 1920's cloche example is in stunning condition! 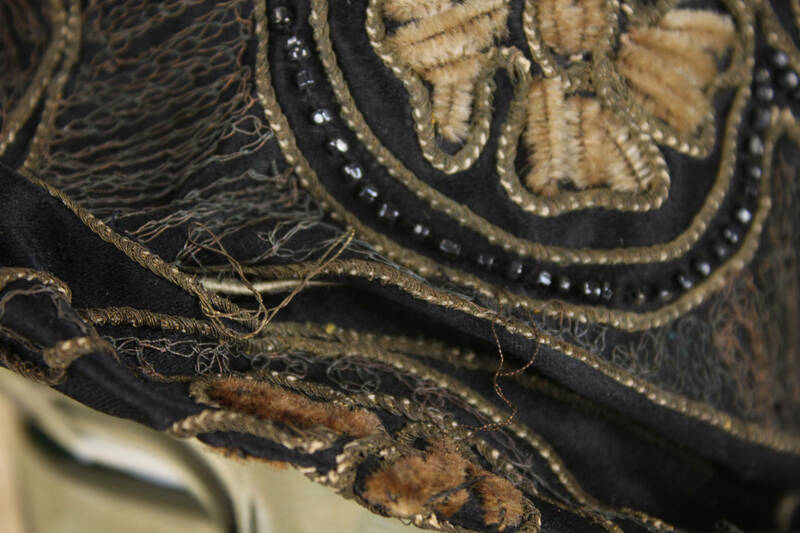 Some stitching has loosened or is missing but it is otherwise 100% intact and complete! 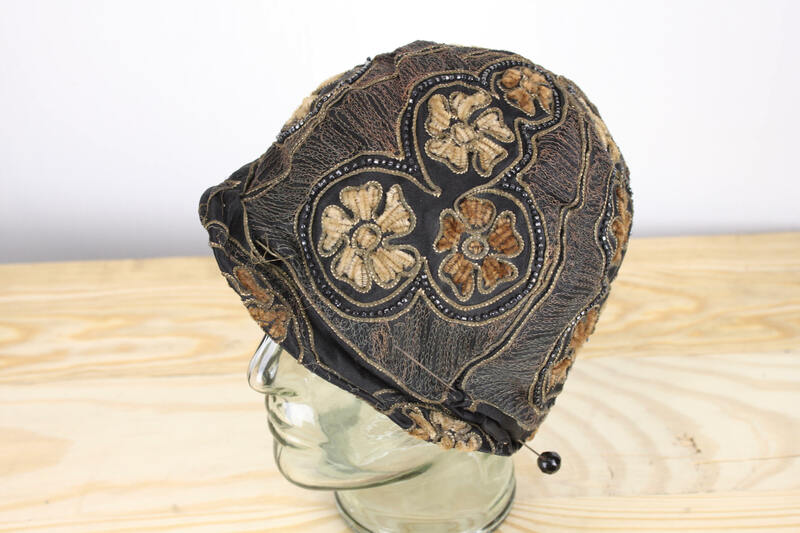 This hat is comprised of 4 satin panels - Each is decorated with floral badges of varying sizes (made from piping and gold bullion stitching). 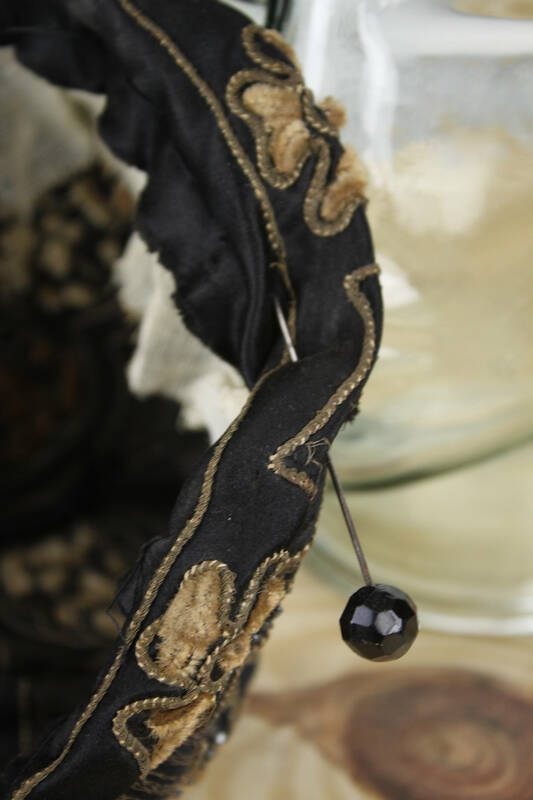 These badges are wreathed in black glass bead circles which are also encased in gold bullion brocade. 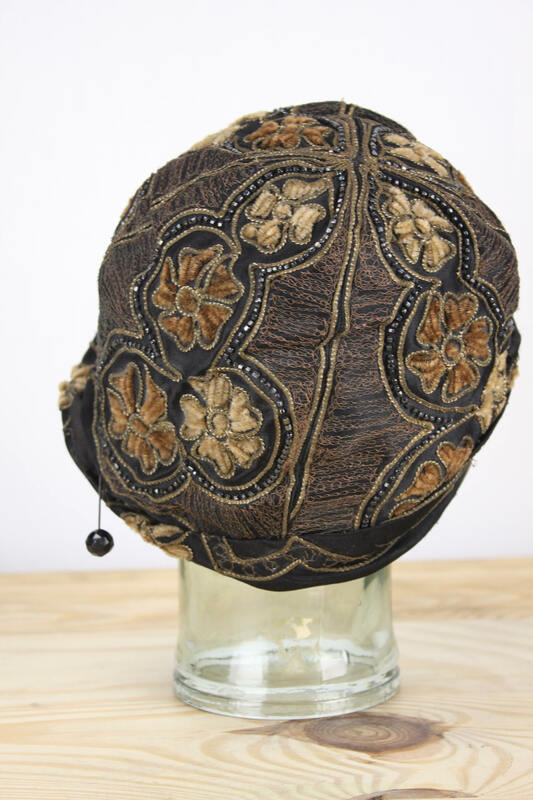 The negative space remaining on each panel is decorated with copper tatting. 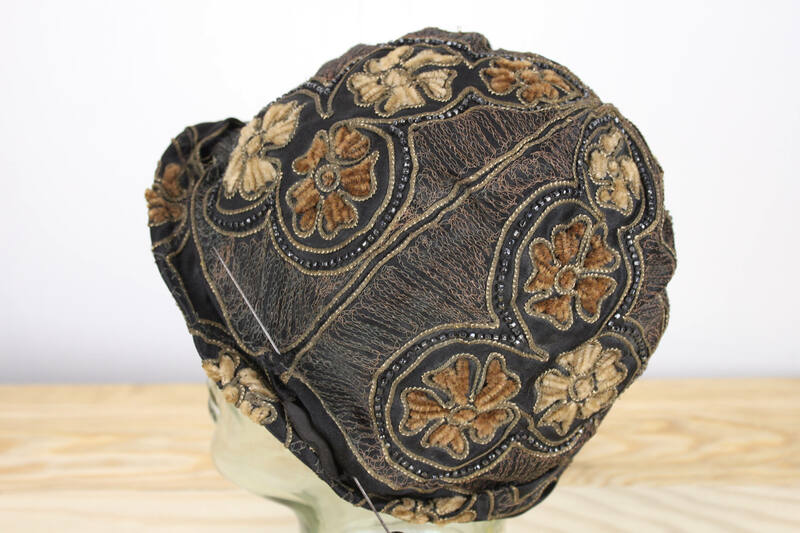 This exceptional hat has small, asymmetrical brim which is sewn flush to the hat on one side and slopes away from the hat on the other. 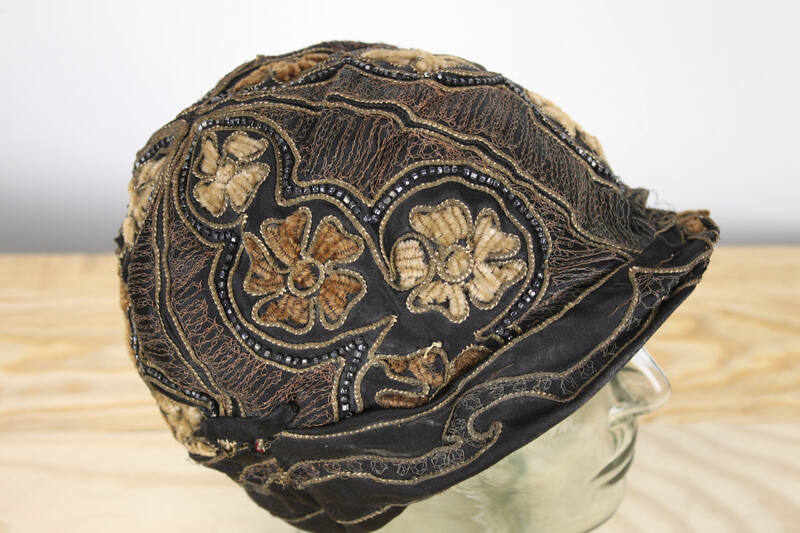 At the point where the brim is flush with the hat is a small satin band for mounting pins, feathers or other decorations.